This chicken or duck house will take up to 6 medium sized birds. Ideal for home egg production. Standard features now include : Slide Out Floor; Hinged timber and Coroline roof, perch rail, pophole, fixed full ventilation, solid timber floor. PRICE £190.00 Carriage £36.00 (delivery surcharges may apply to some locations) Contact us to place your order or to ask more questions, we are happy to help. 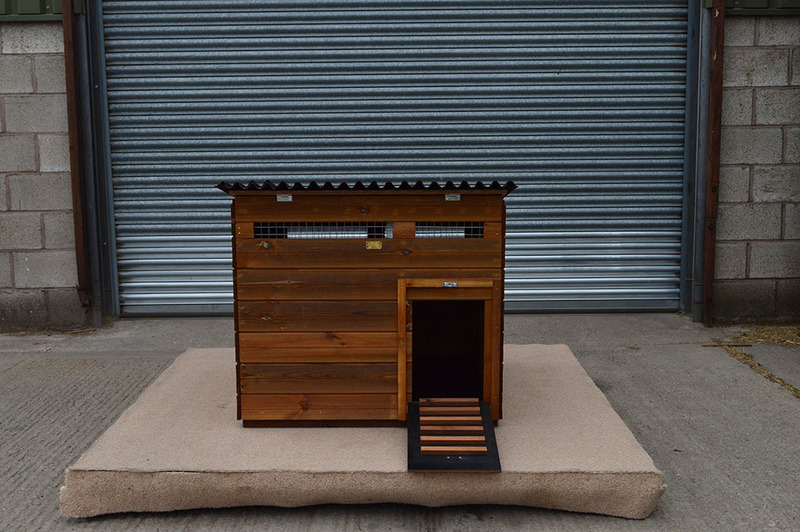 We also offer a specially designed Swinford Duck House with a hinged door, duck board at the front, a lift out rear panel for easy clean out (ducks ARE mucky) and the hinged roof for additional access. We have various solutions for managing the birds, protecting them from predators, avian influenza (bird flu) and the elements. Our run panels can be used to make an enclosure around the house which is mobile. For a covered area providing shade and shelter for your birds all year around we have a 9 ft by 6 ft Walk in covered run, including poly tarp for the roof.